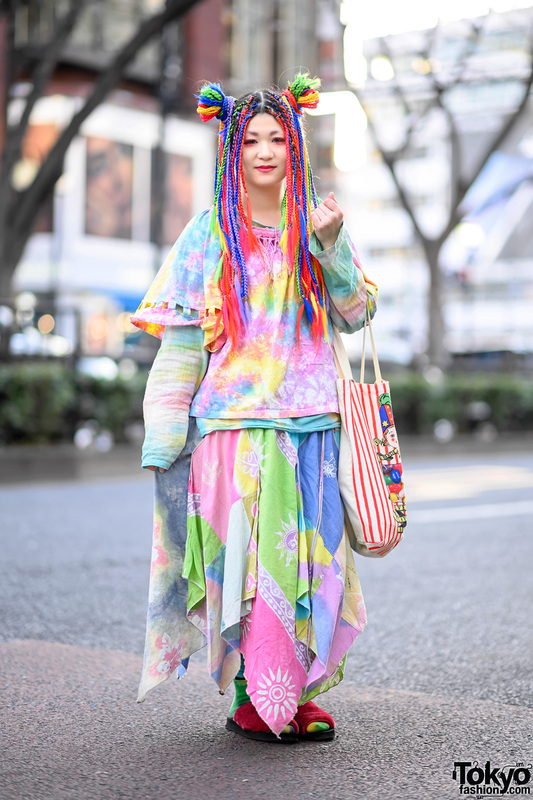 In Harajuku, we came across Choom, a Tokyo-based model and editor of The COMM, an online magazine. Choom’s all pink street style easily caught our attention on the street in Harajuku. 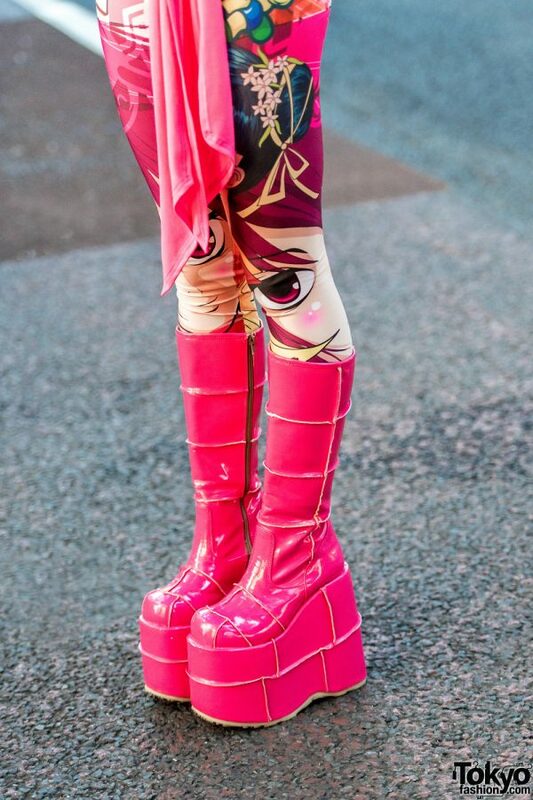 Choom was wearing a pink wraparound top from Cyberdog, which she styled with cartoon print leggings from ASOS, and tall pink patent leather platform boots from Demonia. She finished off her statement style with a black M.Y.O.B textured shoulder bag. Choom’s favorite fashion brand is M.Y.O.B, and she loves listening to the music of Big Bang. Follow her on Twitter, Instagram, and her online magazine, The COMM. Brands: Asos, Cyberdog, Demonia, M.Y.O.B.